This is an enquiry only and does not guarantee your reservation. We will get back to you ASAP with availability and rates. Thank you for your enquiry, we we will get back to you with availability and rates as soon as possible. Thank you for your enquiry, we will get back to you with availability and rates as soon as possible. 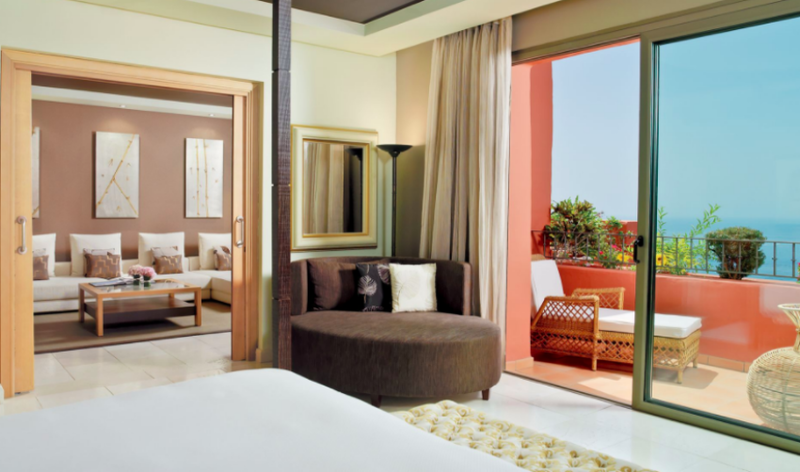 50 m2 contemporary-style air-conditioned rooms with terraces and ocean or resort views. All feature king or twin beds, with cribs or rollaway beds available on request and bathrooms with separate shower and tub. 65 m2 contemporary-style air-conditioned rooms with sitting area and terraces with ocean or resort views. All feature king beds, with cribs or rollaway beds available on request and bathrooms with separate shower and tub. 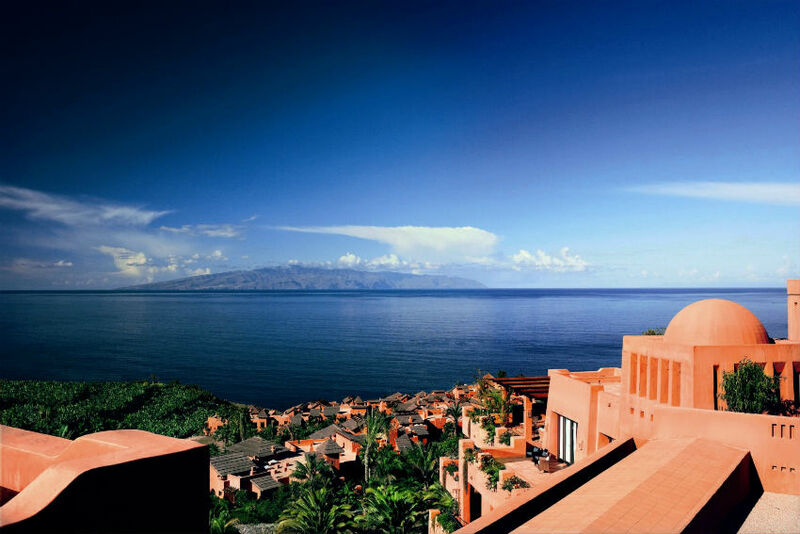 80 m2 suites with private terraces have superb views of the ocean and gardens. All feature a king size bedroom and separate living/dining room equipped with minibar, Nespresso machine, docking station, TV and DVD player. En suite bathrooms have separate bath and shower. Cribs and rollaway beds available on request. 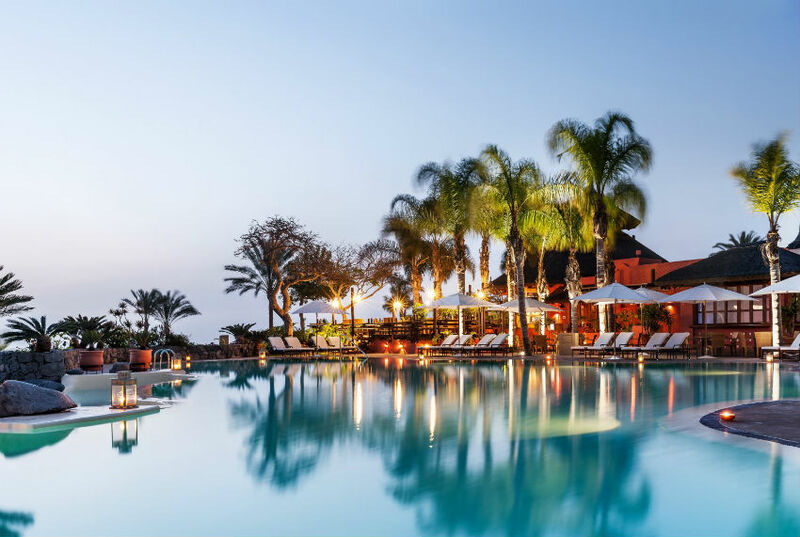 is a luxury resort on the southwest coast of Tenerife suitable for families. 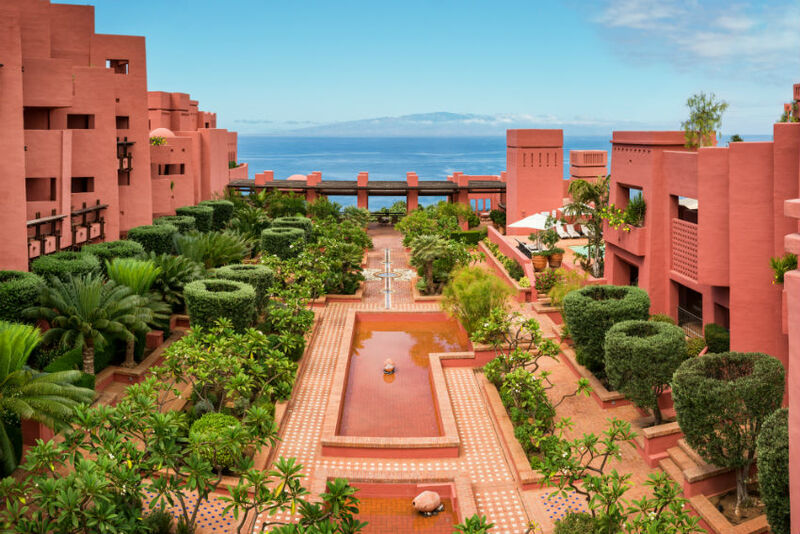 A five-star Moorish-style resort located on the lush Guia de Isora, The Ritz-Carlton, Abama is surrounded by volcanic landscapes and offers panoramic ocean views. 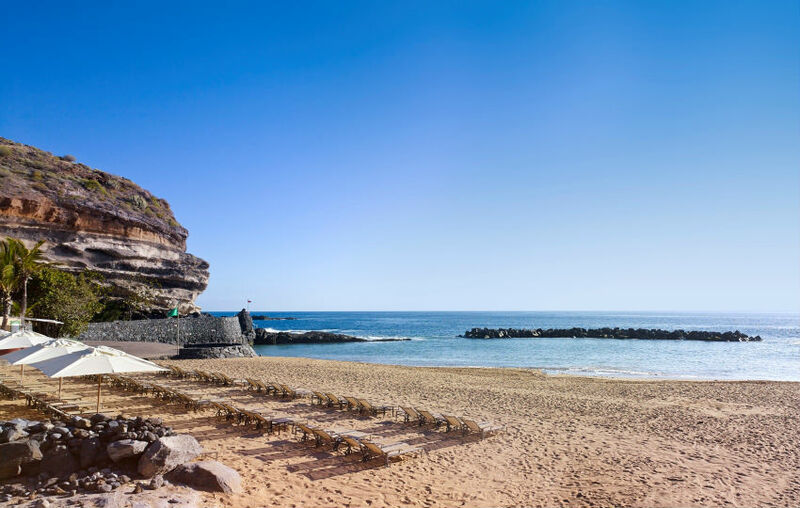 Ideal for a sunny family break at any time of year, there is exclusive access to a sandy beach with two natural pools and 7 swimming pools including a Baby and Family Pool with water toys. For younger visitors the excellent Kids Club, which offers a variety of sports, games, cooking and educational activities for 4 to 12 year olds, opens daily from 10am to 6pm – giving parents plenty of time to luxuriate in the 2,500 m2 spa. The location is ideal for families, being only 25 minutes from the airport and close to several adventure parks. 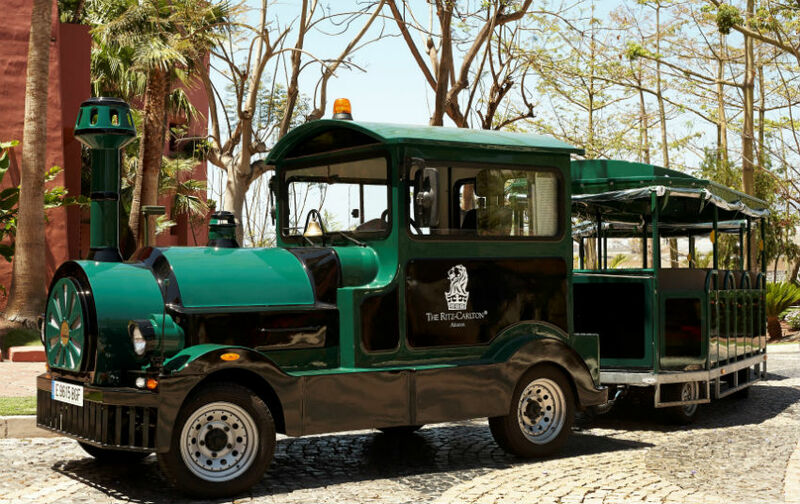 Kids also love riding the small train around the resort and down to the beach. Sports enthusiasts are spoilt for choice with a Dave Thomas-designed golf course, a tennis academy, a state of the art fitness centre and a variety of fitness classes daily. 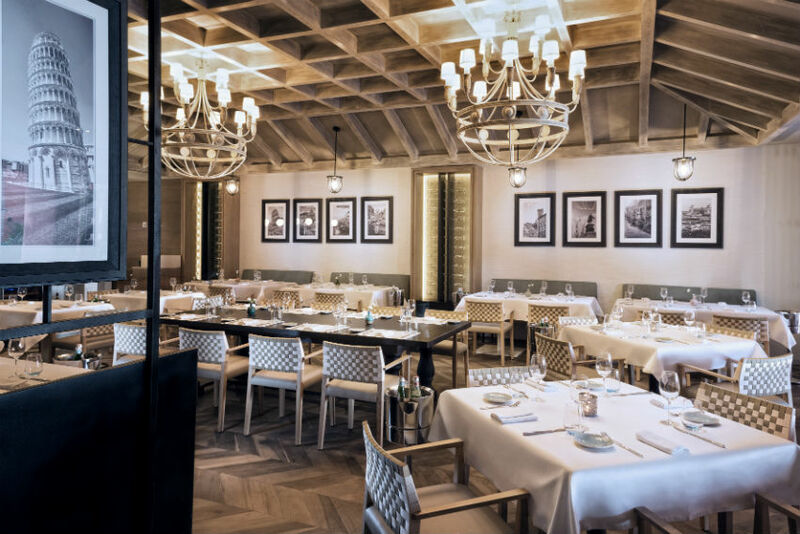 Foodies can choose between 10 restaurants and 2 bars including two Michelin star options: the two-starred M.B featuring Basque cuisine, and the one star Kabuki, offering a Japanese fusion menu. These restaurants do not offer children’s menus and do not accept children under 6. Other restaurants within the resort offer kids menus and dietary requirements are catered for. Rates vary according to season and daily demand. Please contact us for a precise quote. Depending on the rate you choose, different cancellation policies apply. We will be happy to send you a quote with all necessary details. Please note that pets are not allowed at the hotel. The brightly decorated Kids Club with indoor play areas and outdoor recreational spaces is open daily. Sports, games an educational activities are offered and children’s meals are available on request. Suitable for children age 4-12. 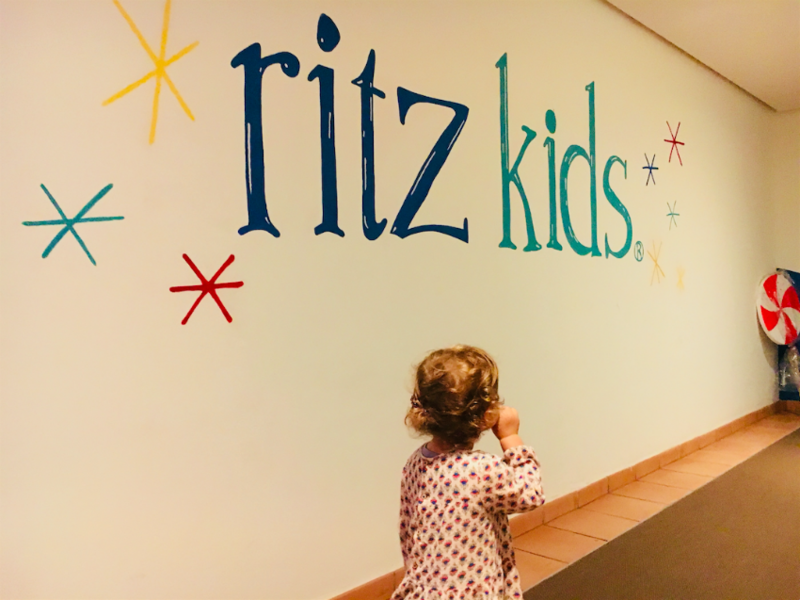 Toddlers (age 3 and under) can also spend time at the Kids Club in company of their care giver or the hotel can arrange babysitters if required. A Family and Baby Pool within the resort is ideal for little ones and various water toys are available. There is exclusive access to a sandy beach right next to the hotel where you can find beach toys and the oceanfront Beach Club restaurant. Even more fun, a little in-house train can drive tiny guests and their parents right to the location. A breeding centre for endangered species, the Monkey Park in southern Tenerife offers an insight into how various primates, reptiles and exotic birds live, eat and breed. A small, friendly place, children love being able to touch and hand feed some of the resident animals. A huge Thai-themed water park with lazy rivers, rapids, wave pools and white knuckle rides, there is fun to be had for everyone from babies to adults, swimmers and non swimmers alike. Set into lush grounds there are various places to eat and drink and an artificial beach if you just want to soak up some sun. Plunge down up to 30 metres below the surface of the ocean without even getting wet. State of the art submarines are equipped with big viewing windows and tour guides talk you through the marine creatures you pass on your cruise. Not suitable for children under 2. Tenerife is one of the top whale and dolphin watching destinations worldwide. Bottlenose dolphins, pilot whales and sperm whales are some of the resident species and boat trips depart from various points along the coast to see these magnificent creatures in their natural environment. Well worth the drive (around 1h15), Loro Parque is an excellent zoo and adventure park set in tropical surroundings where family members of all ages will enjoy encounters with a wide variety of animals, including penguins, gorillas, orcas and dolphins. Tenerife has an impressive number of theme parks, some of which are considered the best in Europe. 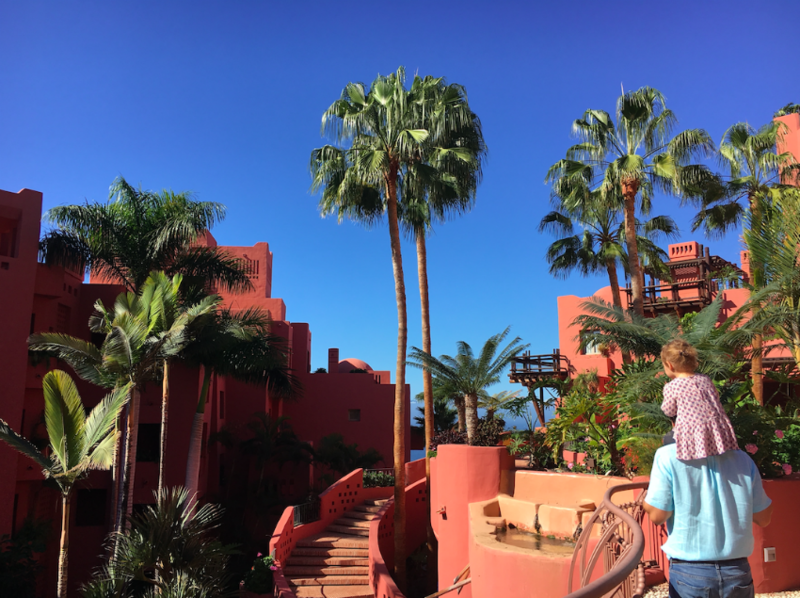 About 15 minutes from the resort on the Costa Adeja is Aqualand, an open air water park with slides, tube rides, kids pools and a dolphinarium, and Jungle Park is a zoo set into jungle scenery, with over 100 species of exotic birds and animals, some of which perform at scheduled shows. The Annabel Croft Tennis Academy features seven tennis courts, four paddle tennis courts and several classes and courses to improve technique. The resort’s par-72, 18-hole Dave Thomas-designed golf course overlooking the sea is considered one of the toughest in Spain. Four golf pros are available at the academy and the course also features a putting green, driving range and clubhouse. Open 24/7 the state of the art gym has a full range of cardio vascular training equipment and instructors also lead group and private classes in yoga, pilates, tai chi, spinning and stretching. 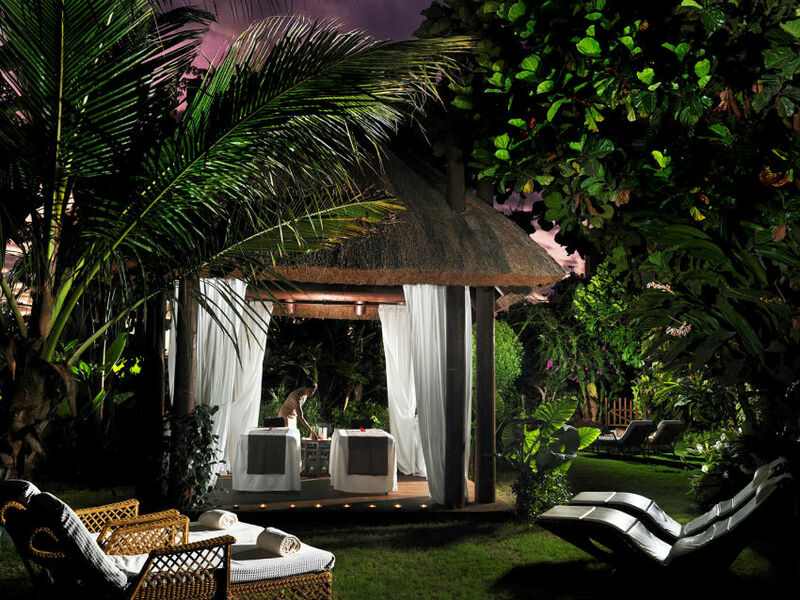 The chic spa, with outstanding ocean views, offers numerous water and relaxation facilities including a hydrotherapy pool and ten treatment rooms where massages, wraps and scrubs have been developed using local volcanic stones and all natural ingredients. The Plaza del Duque shopping mall is an exclusive retail centre, a short drive from the hotel, with over 60 shops selling designer clothing, jewellery, accessories and perfumes. It also has several restaurants, cafes and a kids’ play area. The hotel offers free daily shuttles. The oriental-themed Siam Mall is an open air shopping centre on two levels, with 70 shops set around terraces and parks. Located about 10 minutes’ drive from the resort, it has free parking and a kids’ area. At 3718 metres, El Teide, a dormant volcano, is not only the highest peak in Tenerife, but in the whole of Spain. The entire area is a national park and one of the top sights on the island, for its unique landscape of craters, vents, volcanoes and rivers of petrified lava. There are two visitor’s centres, several refreshment areas and trails for those wanting to explore on foot. If you go to the top, take warm clothing as it’s cold at that altitude, but the views over the small villages and down to the sea are spectacular. It is possible to drive most of the way, and then take a cable car to the very top - but be aware it is not recommended for children under 2 years of age to go to this altitude. Perhaps the most charming town on Tenerife, it’s worth the winding drive to get to this colourful and characterful little place in the mountains. 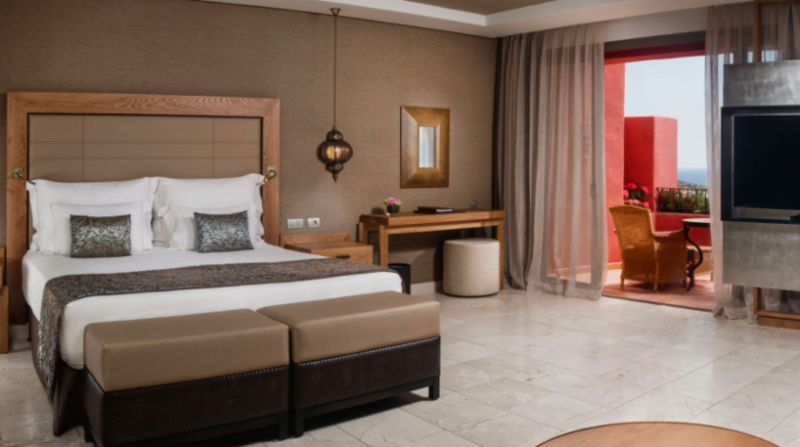 Situated on a rocky plateau it offers views of the countryside and a very authentic Canarian vibe. For the energetic, the hike from Los Gigantes to Masca is tough but rewards you with exceptional views and scenery. 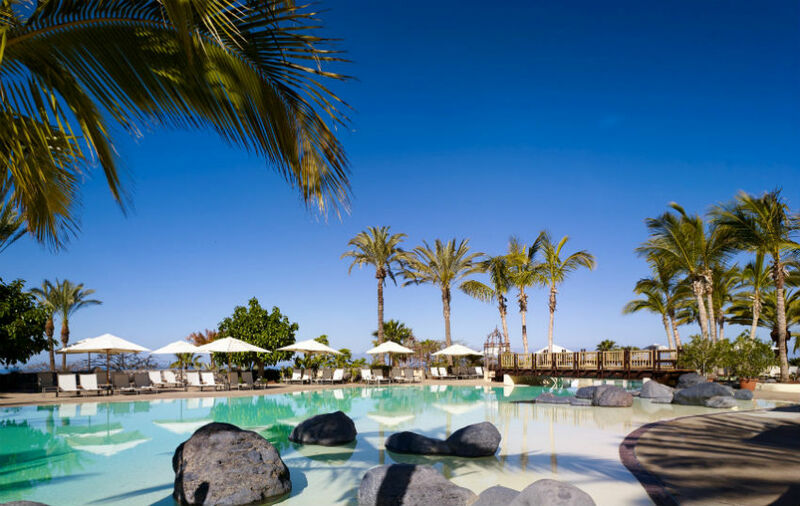 Guia de Isora lies on Tenerife’s south west coast, between the majestic Mount Teide and the Atlantic Ocean. One of the island’s up and coming resorts, its quiet beaches range from small pockets of black and golden sand to natural rock pools, and the seaside promenades are lined with quaint bars and seafood restaurants. 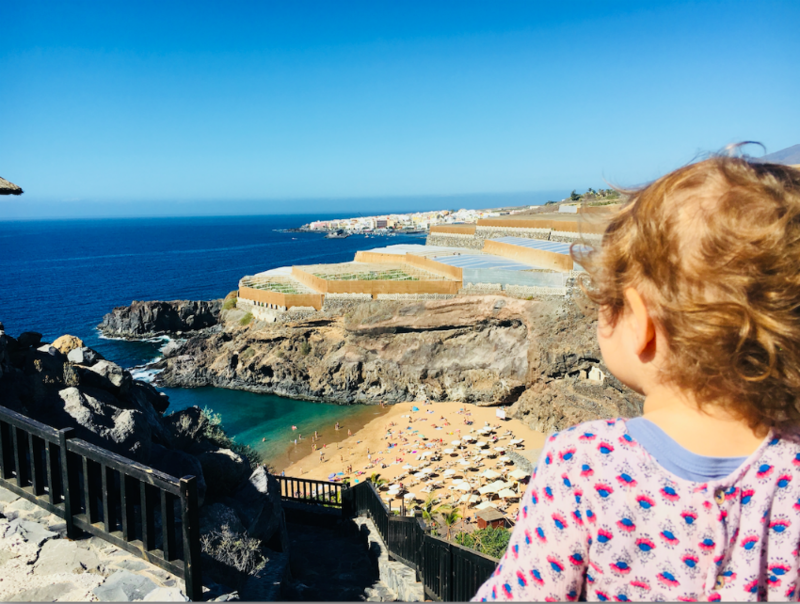 The main town of Guia de Isora is filled with attractive historic buildings while the small towns and villages further inland promise authentic Canarian charm with narrow cobbled streets, whitewashed cottages and dramatic volcanic scenery. For hikers and mountain bikers a network of trails wind their way up from the coast to the highest peaks whilst at the seaside kayaking, whale watching and scuba diving are popular activities. We charge no commission or booking fee, so making your reservation through us costs you no more than if you browsed the internet for hours looking through all the possibilities yourself and booked direct with the owners. We have done the legwork, so you don’t have to. Please send us an e-mail to [email protected] or call us directly on 0034 672 651 230 (Spain) for instant advice. Do you need help in another language? At The Little Voyager we also speak Spanish and German and we will be happy to assist you in either of those languages. Select your preferred dates using the calendar below to enquire about the availability of this accommodation. Please select number of adults and children enquiring about the accommodation using the controls you see below. The summary of your accommodation enquiry is shown below. The Little Voyager offers beautifully designed places to stay that are fully equipped for parents travelling with babies and toddlers. © Thelittlevoyager.com 2019. All rights reserved. Como somos una empresa muy personalizada y queremos estar muy atentos con cada uno de vosotros, queríamos comunicaros que a parte de inglés y alemán hablamos también castellano y podemos explicaros cualquier detalle de nuestros alojamientos por e-mail o por teléfono, solo nos tenéis que contactar y haremos todo lo posible para daros el mejor trato. Muchas gracias por vuestro interés!